Spanish by Sponge Language Institute - Theme "Let's Make Soup"
​Thanks for joining the Fall Session of Sponge Classes, Language Champs! We went on a learning spree and acquired essential language-learning strategies in our Let's Play After School and Grocery Shopping units! Join us as we broaden our understanding of language and culture by exploring the tastes, flavors and sights of the world in our Winter Session's Let's Make Soup and Where's My House Key units. Since it is themed base, we welcome both new students and continuing students! ​At Sponge, we see language as a passport to global citizenship. Students learn to see the world through a different lens while acquiring language skills and the confidence to use them. 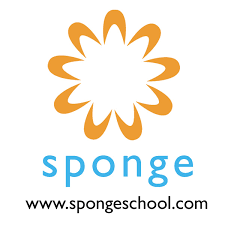 Sponge classes are immersion based, and taught by native speaker using games, art, songs, stories, drama and movement to help children build language skills! We believe the best way to learn a language is to be immersed in it and having fun!